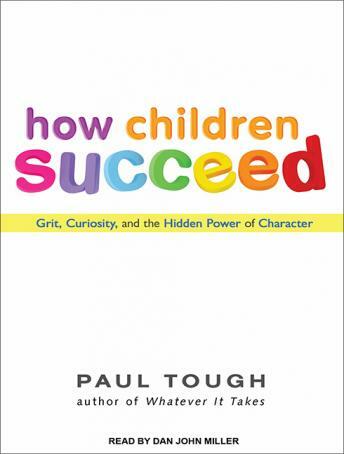 The story we usually tell about childhood and success is the one about intelligence: Success comes to those who score highest on tests, from preschool admissions to SATs.But in How Children Succeed, Paul Tough argues for a very different understanding of what makes a successful child. Drawing on groundbreaking research in neuroscience, economics, and psychology, Tough shows that the qualities that matter most have less to do with IQ and more to do with character: skills like grit, curiosity, conscientiousness, and optimism.How Children Succeed introduces us to a new generation of scientists and educators who are radically changing our understanding of how children develop character, how they learn to think, and how they overcome adversity. It tells the personal stories of young people struggling to say on the right side of the line between success and failure. And it argues for a new way of thinking about how best to steer an individual child-or a whole generation of children-toward a successful future.This provocative and profoundly hopeful book will not only inspire and engage listeners; it will also change our understanding of childhood itself.